Curran is at the forefront of new coating technology to reduce crude unit exchanger fouling. Using advanced polymers and inorganic/hybrid materials Curran applications are targeted at severe fouling in CDU, VDU and FCCU to inhibit slurry fouling and to optimize shear of deposits downtube. New advances in material provide for ultra thin (<25 micron) foul release applications for “critical service,” and Plate and Frame exchangers. All applications are subject to Curran quality control, and critical hold points documented and reported to client. 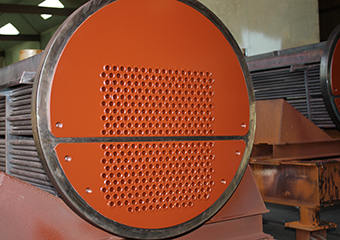 We coat shell & tube, exchanger bundles, air coolers, U tube and plate and frame exchangers; provide in-service exchange tube ID restoration; tube end coating, plate exchangers, OD tube coating; in-situ and field coating applications. Curran 1000T – An advanced two-part 100% solids epoxy coating designed for high temperature immersion service in cooling water, some hydrocarbons and process streams. This coating is an organic/inorganic hybrid that can be applied in a single coat to 3-5 mils total DFT, when pigmented with PTFE it achieves a hydrophobic finish and provides for superior release. Curramix 2500 – An ultra-low DFT ambient-cure coating system designed for high temperature fouling services; in lab testing found to have excellent hydrophobic & oleophobic properties, anti-coking performance, resistant to thermal cycling and is suitable for services to 1200°F. May be applied to heat exchanger tubes, plate & frame exchangers. Applied to 20-40 microns total DFT. 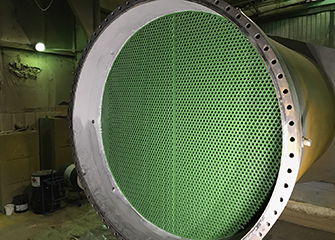 Contact Curran to discuss its foul release coatings and thin film applications to improve exchanger efficiency.